This couple. Oh my word. Dream clients! They were gorgeous, super in love, and just so much fun to be around! It was such an honor to photograph their engagement session! I couldn't wait to share it with you all. 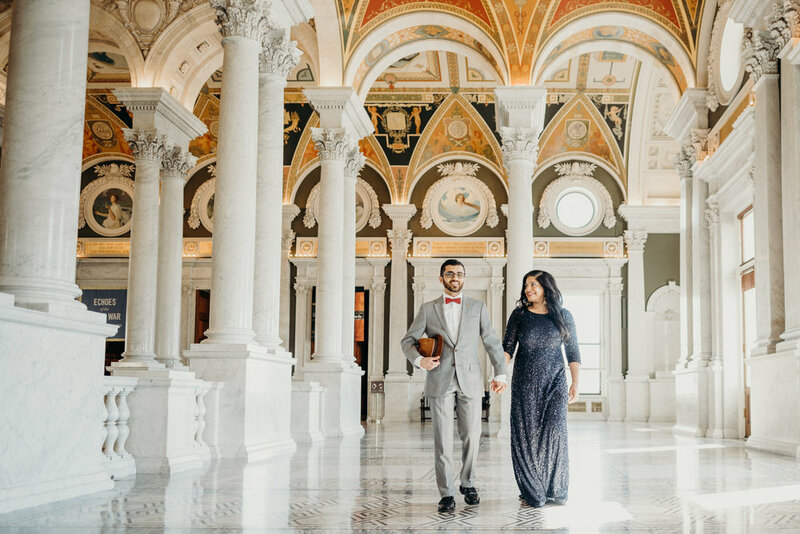 Sana and Aman both come from conservative backgrounds, and had traditional portraits taken with their families at the time of their engagement. So for this session, they wanted to do something that showed off their personalities and better fit their style. 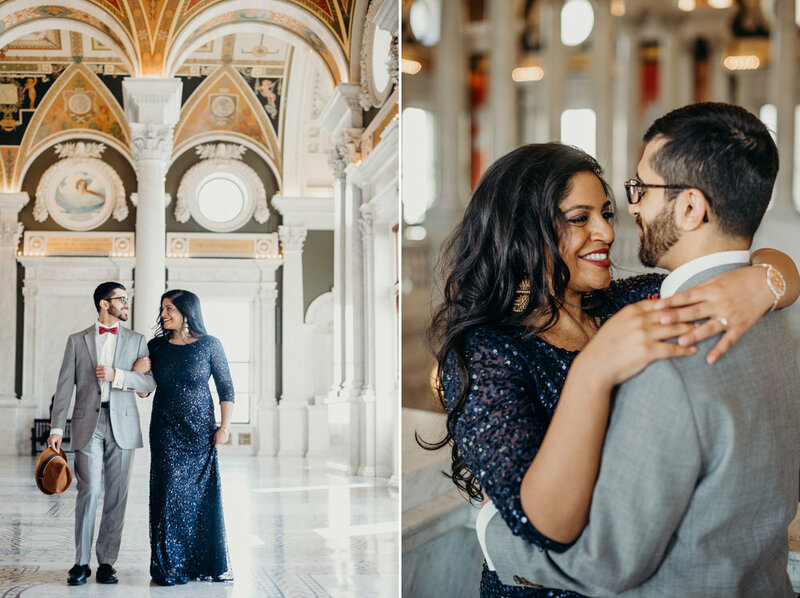 We started off at the Library of Congress with some formal but full-of-personality photos before heading over to Good Stuff Eatery for some casual French-fry-eating and milkshake-sharing. People were definitely curious about the gorgeous couple in formalwear at the Library and burger joint, but it was such a blast! I'd hang with this couple any day!